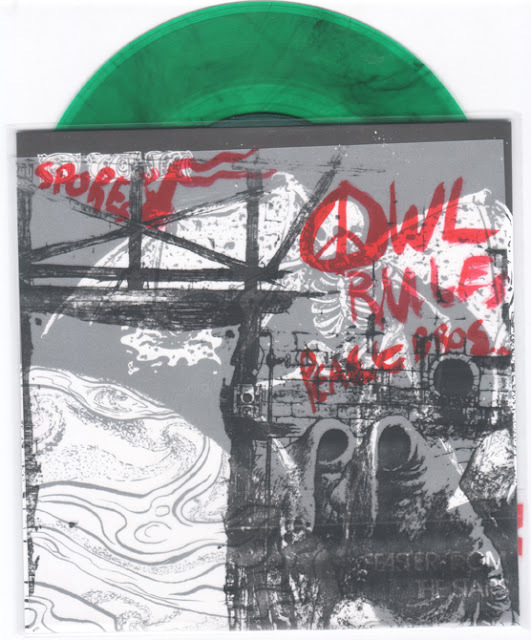 Owl : SPECIAL EDITION SEVEN INCH FOR SALE! SPECIAL EDITION SEVEN INCH FOR SALE! I found ten more of these records hidden under my bed! This is the green vinyl version with the hand painted "Mob Rules" style special translucent covers. We are selling the last ten copies for $10 each. The proceeds from this will go directly to the limited first pressing of our debut LP which we are self releasing. Ships anywhere in the world, or we will deliver it by hand to any location in San Francisco or Oakland, California with no shipping charges. UPDATE: ONLY ONE LEFT!! !